The Y consonant sound can be difficult to learn for some English language learners. This is because the letter Y can be pronounced as a vowel or a consonant in English. In this lesson, you will learn about the Y consonant sound and how it is different from the Y vowel sounds. The Y consonant sound (IPA symbol: j) can be found in American English words such as yes, you, yesterday, young, beyond, and kayak. In English, the letter Y can be a consonant sound or a vowel sound. The letter Y is a consonant sound when it is at the beginning of a word (yes) or is the first letter in the syllable before a vowel (beyond = be/yond). 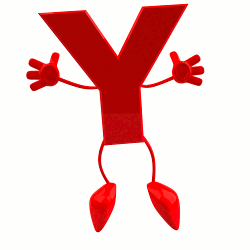 The letter Y is a vowel sound when it is at the end of a word (happy) or anywhere else in the syllable (gym, crying). In this lesson, we will practice the Y consonant sound. But first, let's look at the Y vowel sounds, so you know the differences. When the letter Y is used as a vowel, it makes other vowel sounds. It can also be part of a diphthong. A diphthong is a speech sound that begins with one vowel sound and ends with another vowel sound in the same syllable. You can practice these sounds with the lessons found here: American English Pronunciation. Now, let's look at the Y consonant sound. To make the Y consonant sound, the middle part of your tongue comes forward and presses against the roof of your mouth near the top tooth ridge. The tip of the tongue will lightly touch your bottom teeth. Your jaw will be almost closed when you make this sound. Your lips will be loose. The Y sound is a verbal sound, so your vocal cords vibrate and make the sound. Remember, the letter Y is a consonant sound if it is at the beginning of a word or the first letter in a syllable.  It is most commonly found at the beginning of the word. Now say these sentences out loud. The Y consonant sound is in bold print. 1) Did you paint it yellow? 2) You yawn when you are tired. 3) Are you going to eat the yellow yogurt? 4) You look young. What year were you born? 5) Yes, you can yell in the canyon. 6) Your kayak floated beyond the canyon. Have you finished this lesson? Keep practicing the words and sentences to master this sound. Return from Y Sound to English Word Pronunciation: Improve that Accent!